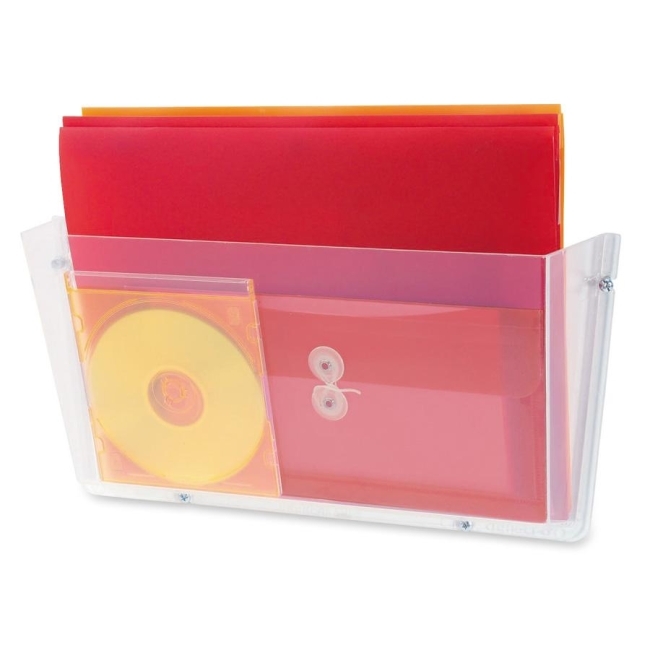 Wall pocket is perfect for holding important documents, file folders, magazines and more. Mount easily with included tape and screws. Wall pocket is made of strong unbreakable plastic. $22Safco Steel Wall Pocket - 12"
$16Rubbermaid Single Pocket Wall File - 16.75"